Give your loved ones or friends an experience that they will cherish for a lifetime. 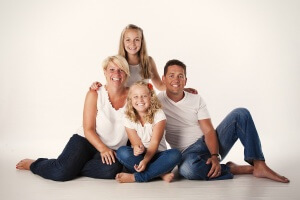 Bring all the family along for a fun filled photography session. Capture your family life and create memories. Includes a one hour photography session and a framed 8″x 6″. The newborn stage flies by so quick so don’t miss out and bring your new bundle of joy into the studio to capture them while they are so small. Includes up to 3 hours in our studio and a framed 8″ x 6″ image. Let your little ones run riot for an hour with a fun filled photography session and choose your favourite 8″x 6″ framed image from your session.